Field Worker: Applicants who have completed 12th / diploma in medical technology / B.Sc. 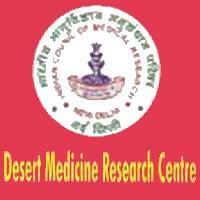 in Life Science or equivalent from a recognized Institute for DMRC Recruitment 2018. Data Entry Operator: Applicants who have completed 12th with DOEACC ‘A’ Level or equivalent from a recognized Institute for DMRC Recruitment 2018. Upper Division Clerk: Applicants who have completed 12th / Graduate in any discipline or equivalent from a recognized Institute for DMRC Recruitment 2018. Eligible Applicants advised to Download and read DMRC Job notification to get aware of recruitment schedule and venue from the official website.